There is a critical, often overlooked, space between insight and execution. It’s a space that is uniquely frustrating to entrepreneurs and salespeople, and causes more great ideas to fail than anything else. It’s a space filled with trade-offs. It’s fraught with ambiguity and filled with complexity. Most small and mid-sized business (SME) executives either ignore the space completely or get paralyzed by it and fail to act. I call this space The Results Chasm™. This reaction is understandable. We’re all searching for clear answers to questions like will it work or won’t it? Should we do it or not? How will we know? Confronting The Results Chasm™ induces headaches, and who wants those? It’s far easier to either ignore the complexity or jump to the next endorphin creating idea. We’ve all seen the success stories that allowed someone to make billions without confronting the chasm. Who doesn’t want to be the next YouTube? And look, if you’ve got the idea that will work, I say go for it. 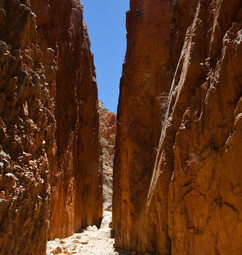 However, if you’re like most SME’s and you can’t count on luck, you need to embrace the chasm. Simplicity and success lies on the other side of complexity. Your job is to manage the complexity, don’t ignore it.